More traditionally surrounded by flora and fauna, this dark interpretation of the Empress card takes on a gothic twist, replacing the 12 starred crown with an intricate headpiece and black choker necklace. 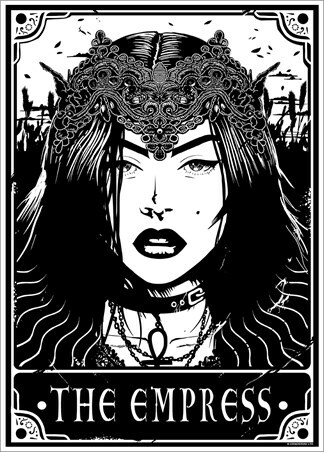 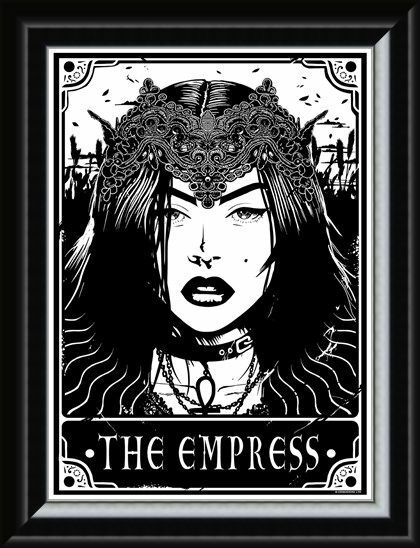 Surrounded by a shadowy scene, this macabre mistress stares forward with catlike eyes, drawing you in to purchase this magnificent scene from Deadly Tarot. 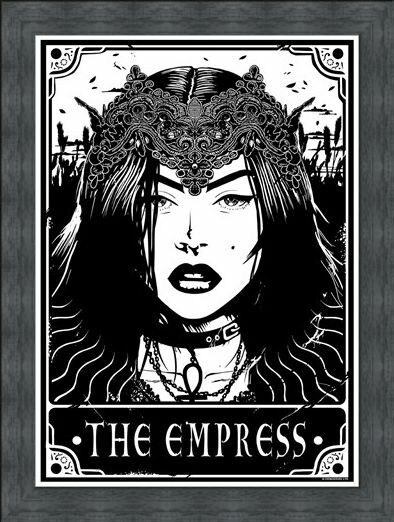 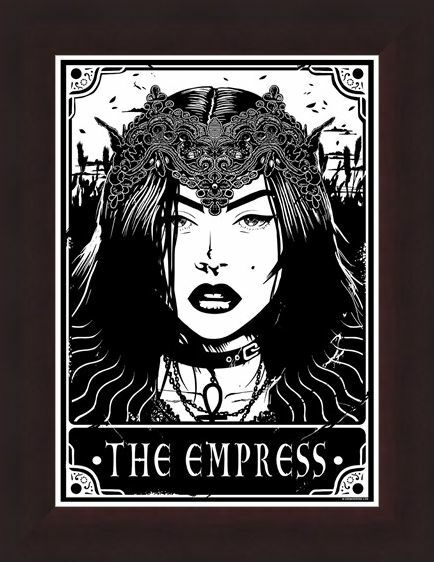 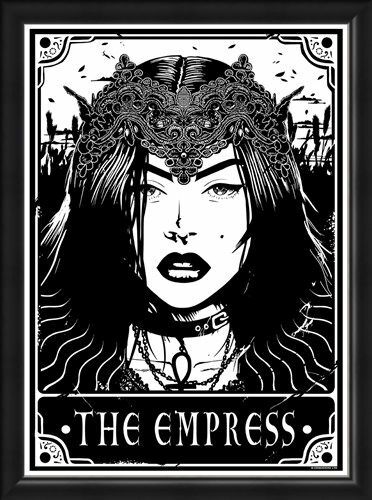 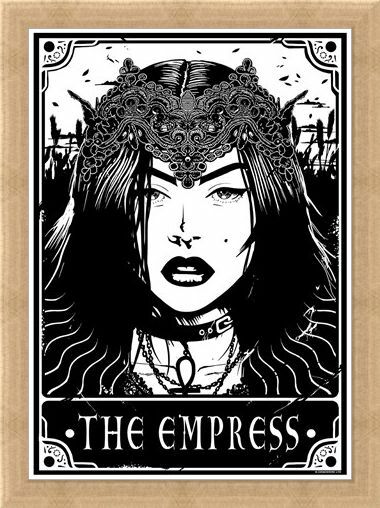 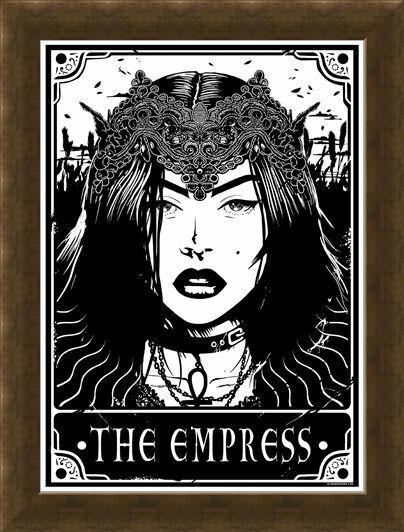 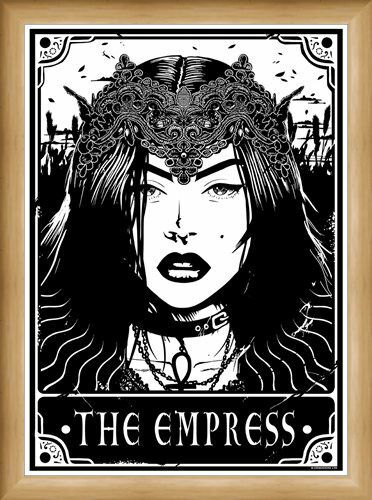 High quality, framed The Empress, Deadly Tarot mini poster with a bespoke frame by our custom framing service.